New data from the Office for National Statistics confirming that unmarried couples living together are the fastest growing family type in the UK is further proof that the law on cohabitation needs to catch up with modern British society, says family law organisation Resolution. Earlier this year Resolution released its Manifesto for Family Law calling for the introduction of some rights for cohabiting couples when they separate. Research in 2013 from relationships charity One Plus One shows that almost half (47%) of the British public believe in the myth of “common law marriage”, the notion that cohabiting couples have similar legal rights to married people. I’d just like to say a big thank you to everybody at Kenyon Son and Craddock who have so generously donated food and clothing to the refugee appeal. I have already taken two car boot loads to the collection centre and have another load ready to go. I also spent a morning helping to sort the donations which have come from the whole Doncaster area and was overwhelmed by the amount of clothes, sleeping bags, camping gear and food which has been donated for the refugees. A very large van was needed to take everything to the depot at Leeds from where it will be distributed to those in most need. Kenyons will carry on collecting for as long as the appeal remains open. Again many thanks for your generosity. Here at Kenyon Son and Craddock, Solicitors in Thorne, Goole and Wakefield, we are doing our bit to help the refugee crisis by supporting Doncaster Solidarity with Calais Refugees. Joanne Poynton from the Wakefield office and Rebecca Kershaw from Thorne were so upset by the pictures of desperate people on their TV screens every night that they felt they had to do something to help and the whole firm soon got on board. 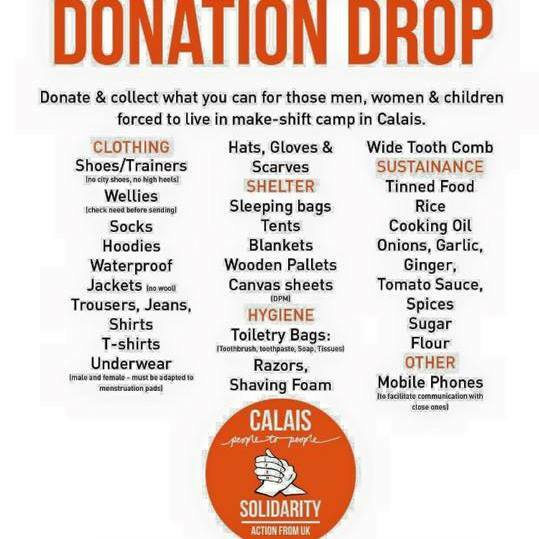 We are collecting items most needed by the refugees stranded in Calais and taking them to a local drop off point in Thorne from where they will become part of the Doncaster wide effort to provide support. We welcome donations of the following: Socks, wellies, hoodies, jeans, t-shirts, hats gloves and scarves, sleep bags, tents, blankets, shaving foam, flour, sugar, rice, pasta, tinned goods. Literally, compensation is the last (and most important) thing that we deal with in any case. The compensation that we recover for our clients provides them with the financial security they require following a life changing accident. The purpose is to put them back, so far as money can, in the position they would have been in had the accident not occurred. It can be used for items such as wheelchairs, changes to the home or vehicles, to cover a lifetime’s loss or reduction in earnings and to pay for professional care and private medical treatment. However, it is not, by any means, the only thing we do. When we are first approached by someone who has suffered a life changing accident the most important thing we can do is to listen. It’s not until we fully understand their particular circumstances that we can use our skill and expertise to find the perfect solution. We then carry out a full assessment and prepare a detailed case plan designed to get the injured person’s life back on track as soon as possible and protect their long term future. If there’s likely to be any dispute as to who was responsible for the accident, it is essential that we resolve this issue without delay. By doing so we provide peace of mind for the injured person knowing that they will ultimately receive fair and just compensation for the injuries and financial loss they have suffered. We will then arrange an immediate needs assessment to consider what care is required in the short term and what steps can be taken to start the rehabilitation process. We can also request upfront payments to cover any ongoing loss of earnings and avoid unnecessary financial pressure being put on the injured person and their family. At this stage we will also be liaising with medical and other experts to put the recommended steps in place and start the process of getting the client’s life back on track. Once the immediate concerns have been dealt with and a rehabilitation plan has been put in place, we can get to work, assessing the full extent of the injuries and financial implications. Depending on the circumstances of the case, this can take some time as we arrange the necessary medical and other expert reports to provide us with the evidence that we need. We continue to monitor progress throughout, making any necessary adjustments to the case plan and, where recommendations are made, ensuring that they are implemented without delay. It is only when the long term effects of the injury and its financial implications are fully understood that we can move to the final stage of the process which is to ensure that the injured person receives full and just compensation. That is the last thing we do!!! The cost of getting divorced is to rise by about a third after the government announced increased court fees. From later this year, husbands or wives who want to end their marriage will pay £550 in England and Wales, a rise of £140. It will still be possible to apply for a fee exemption if you are able to prove you are on a low income. If that doesn’t apply to you and you have been planning to start a divorce you may wish to consider starting the process before the fee rise comes into effect. There is no definite date yet but it will be before the end of the year. In Victoria Australia it is forbidden to wear pink hot pants after mid-day on a Sunday. In Australia, it’s illegal to name any animal you plan to eat. In Portugal, it’s against the law to pee in the ocean. Chewing gum is illegal in Singapore. In Paraguay duelling is legal just as long as both parties are registered blood donors. In Milan, Italy, there is a law that requires citizens to smile at all times or risk a hefty fine. The only exceptions are visiting hospitals and funerals. Donald Duck comics were once banned in Finland because he never wore pants. In France, it is against the law to sell an E.T doll. They have a law forbidding the sale of dolls that do not have human faces. It is illegal to take a Vicks inhaler into Japan. In Maryland, it is illegal for radio stations to play Randy Newman’s song ‘Short people’. In Washington, it is an offence to pretend that you have rich parents. In Kentucky, it is illegal to carry and ice cream cone in your pocket. In Louisiana, if you bite someone with your own teeth it is classed as ‘Simple assault’ but if you bite someone with your dentures it is classed as ‘aggravated assault’. In California, police can arrest you if you shoot any animal from a moving vehicle except a whale. In Alaska, it is illegal to wake a sleeping bear to take its photograph. Please remember a little knowledge is a dangerous thing and if you are holidaying in an unfamiliar location this year we do genuinely suggest that you make sure you are familiar with the local laws and customs. Wherever you are travelling this summer we hope you have a great holiday. Everyone has arguments and disagrees with their partners and other family members from time to time. We all do things we later regret and which cause unhappiness to those we care about. But if this begins to form a consistent pattern then it may be an indication of domestic abuse. 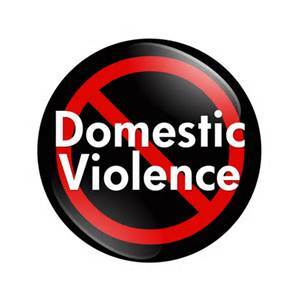 Many people think of Domestic Abuse as being physical violence but the government definition of domestic violence and abuse includes psychological, physical, sexual, financial and emotional abuse. Has your partner prevented you from continuing or starting a college course or from going to work? Does your partner unjustly accuse you of flirting or having affairs with others? Does your partner constantly belittle or humiliate you or regularly criticise or insult you in front of other people? Have you ever changed your behaviour because you are afraid of what your partner may do or say to you? Have your children ever witnessed your partner’s behaviour towards you? Has your partner ever kept you short of money so you are unable to buy food and necessary items for yourself and your children? Has your partner ever forced you to do something you really didn’t want to do? Has your partner ever tried to prevent you from taking necessary medication or seeking medical help when you felt you needed it? Has your partner ever threatened to take your children away or said they would refuse to let you take them with you or to see them if you left? Has your partner ever tried to prevent you leaving the house? Does your partner blame their use of alcohol or drugs for their behaviour?If you feel you may be a victim of domestic abuse then we can help and will provide friendly, sympathetic advice. We offer a free initial appointment and Legal Aid may be available to help you deal with the abuse and to sort out children and financial issues. Please give us a call to see how we can help. 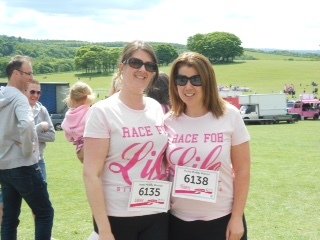 Joanne Poynton and Sarah Littlewood, two of our Solicitors at Kenyon Son & Craddock, took part in the Pretty Muddy 5K at Temple Newsam in Leeds last weekend. 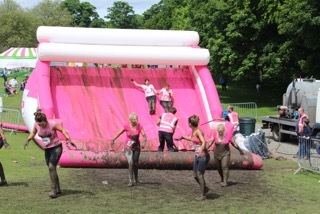 Along with the 5k run they both faced a range of muddy obstacles. 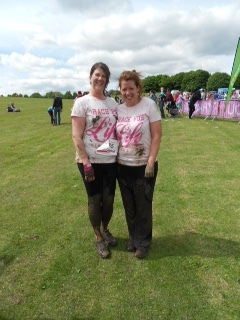 Joanne and Sarah did get pretty muddy and in the process raised over £300 for Cancer Research UK. The Family Law department at our Goole office are a friendly and approachable team dedicated to providing a quality service to all our clients. The removal of Legal Aid from many family cases has been a challenge but one we have met by designing a variety of packages to help everyone access advice when it is most needed. These range from DIY divorce packages to a fully supported service. We also provide fixed fee packages for financial issues. We can provide a similar service for residence and contact arrangements for children – now known as Child Arrangements Orders – and can provide fixed fee arrangements to support you as and when required. We also provide a fully accredited mediation service in Goole and Legal Aid is very often available for this. Care proceedings, involving Social Services, are always very traumatic for those involved and we can help you every step of the way. Legal Aid is available for parents of children involved in care proceedings and we will always make sure you have the very best representation at court and that you fully understand the proceedings. Jean Cockerline – has been with Kenyon Son and Craddock for eleven years, working initially in the Thorne office then moving to Goole to expand the Family Law Department there. Jean started her legal career in Hull at the age of twenty and after a career break to raise her family worked in some of the largest firms of solicitors in Hull before continuing her career with Kenyon Son and Craddock. Sarah Porter works alongside Jean and will probably be your first contact if you telephone or call to see us. She has been with our team in Goole for eight years and you will find her understanding and supportive throughout your case. Rebecca Kershaw provides our Family Mediation in Goole. She is accredited by the College of Mediators and can provide Legally Aided and Private mediation in all family cases. Call us on 01405 720850 to discuss how we can help you. Dementia Awareness Week is a campaign run by the Alzheimer’s Society to raise awareness about dementia and Alzheimer’s disease in the United Kingdom. It is estimated that this year there will be 850,000 with Dementia in the UK with numbers set to rise to 1 million by 2025. The theme of this years Dementia Awareness Week is that ‘Life doesn’t end when dementia begins’ and the campaign is designed to help people understand how they can hold on to their lives and the things they love for longer as well as helping local communities feel better prepared to manage dementia. At Kenyon Son & Craddock we are keen to promote Dementia Awareness and to highlight the importance of making provision for your future. By preparing Lasting Powers of Attorney and Wills you can ensure that your wishes are carried out during your lifetime and following your death. By making a Lasting Power of Attorney you are able to appoint someone who you trust to deal with your affairs if you need any assistance in the future. If you become mentally incapable of dealing with your affairs then your attorney can continue to assist you under the Lasting Power of Attorney (LPA). If you have not made a Lasting Power of Attorney and you become mentally incapable to make one in the future, through accident or illness, it may be necessary for an application to be made to the Court of Protection to appoint someone (known as a ‘Deputy’) to deal with your affairs. The application to the Court is complex and costly and you will not be able to choose your Deputy. There are two types of LPA: Property and Financial Affairs and Health and Welfare. The Property and Financial Affairs LPA allows the person or people you choose (your ‘Attorneys’) to deal with your finances such as your bank accounts and home, on your behalf. The Health and Welfare LPA allows your Attorneys to make decisions about your medical treatment and care should you be unable to make these decisions yourself. Your Attorneys can only use the Health and Welfare LPA should you lose mental capacity. In order for your Attorneys to use the LPAs they must first be registered with a government body, the Office of the Public Guardian. Making a Will is a vital part of planning for your future. It allows you to state how you wish all of your assets, which include your personal items, bank accounts, home, and anything else which you own at your death, to be dealt with when you pass away. It is a common misconception that all assets pass automatically to the surviving members of your family if you do not leave a Will. Government legislation, The Intestacy Rules, dictate how your estate is dealt with if you do not leave a Will (known as dying ‘Intestate’), and this may not be in accordance with your wishes. In order for your Will to be valid it must be properly drafted and executed. It is important to instruct experts to make your Will, who can also provide advice on inheritance tax planning and later life issues. If you plan now, all the provisions will be in place for you and your family to give peace of mind and security for the future.